Russell W. Shipley has been practicing law for more than 50 years and brings a wealth of experience and knowledge to the clients of Shipley & Horne, P.A. Mr. Shipley was admitted to the practice of law in the State of Maryland in 1959, and is also admitted to practice before the United States District Court in Maryland, the United States Court of Appeals, 4th Circuit and the Supreme Court of the United States. Mr. Shipley has vast legal experience in both the public and private sectors. A life-long resident of Prince George’s County, he served as Deputy County Attorney for Prince George’s County for more than 4 years. His areas of practice include: zoning, land use, subdivision, administrative law, municipal law, condemnation (eminent domain), tax assessment appeals, alcoholic beverage law and regulations, business and corporate law, civil litigation and appellate advocacy. Mr. Shipley has successfully argued well over 50 cases in the Maryland Court of Appeals and Court of Special Appeals, many of which have been landmark decisions. 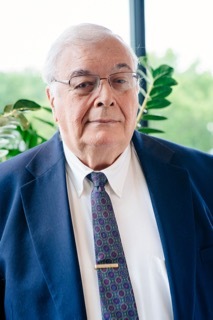 Over the years, he has been the sole or lead attorney in guiding major industrial, commercial and residential development to fruition, including Ammendale Business Campus, Metro East Office Park at New Carrollton, Landover Mall, Iverson Mall, and the comprehensive residential developments of Villages of Marlboro, Kettering, Lake Arbor and Calverton. A highly regarded attorney, Mr. Shipley has received numerous prestigious recognitions for his work over the years. He has been named by the Washingtonian magazines as one of the top “100 Most Influential People” in the Washington D.C. metropolitan area. His legal successes have been well documented among the landmark recorded cases in Maryland, as well as in the Washington Post and other newspapers. Recognized as a pre-eminent attorney and scholar in the field of land use law, Mr. Shipley is also the author of many articles and essays which have been published in real estate, land use, and legal publications, including The Maryland Law Review. He has also given numerous lectures and participated in seminars before legal and real estate organizations on subjects including land use, municipal law, taxation, assessment, real estate law, subdivision and condemnation. Recognized as the local “Dean” of land use lawyers, Mr. Shipley has mentored numerous other land use attorneys over the decades, many of whom now serve in key public or private positions throughout the State. With a deep belief that giving back to the community in which he serves is an important component of the practice of law, Mr. Shipley has been active in numerous civic and community organizations for more than 40 years. He has given countless hours of his time and pro bono legal services to several civic and charitable organizations.